We recently had an enquiry to open a safe and our standard procedure is to ask for a picture of the safe. Upon receiving this photo we were shocked to see the damage and assumed a burglar attempted to break into the safe. Upon further questioning, we were informed that the client searched online for information on how to open a safe and took it upon themselves to give it a go. 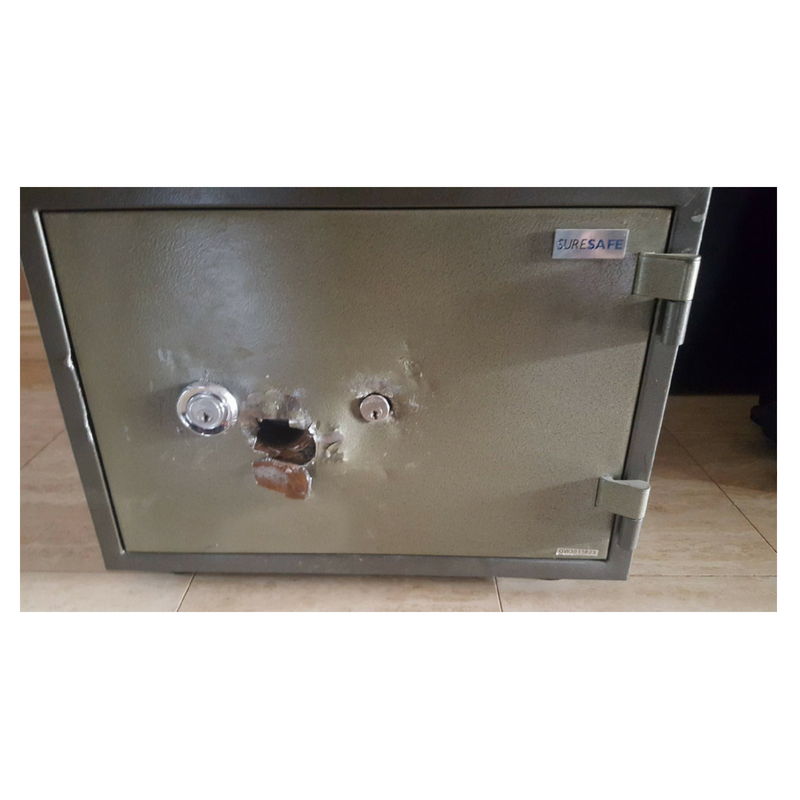 Unfortunately, as you can see in the image, the client had done so much damage to the safe that it was totally irreparable and unusable. The moral of the story is - call a professional, like Safecrackers Australia to open your safe, that way you will end up with a safe that is still operable and functional. Unfortunately for this client, they will have the expense of purchasing a new safe.